This blog began on the 8th of March 2009 and has thus been running for nearly eight years. I created it because I wanted a forum for exploring a school of thought in Judaism which, while dominant in the times of the Rishonim, has declined so dramatically that many supposedly great Torah scholars today don't even accept that it ever existed. It also became a forum for commentary on contemporary Orthodox Jewish society which, while not directly about rationalism, is certainly related to it. It also occasionally veers into topics of personal interest to me, such as politics and wild animals. 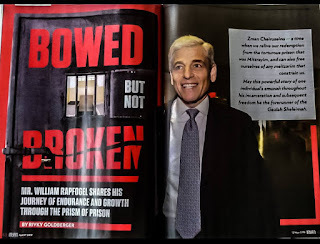 In an article about blogs in Tablet Magazine, it was stated that "Slifkin’s new blog would soon become enormously popular within the rabbinic blogosphere... By many accounts, he has almost single-handedly brought an entire new worldview to the fore." While I appreciate the praise, I do not agree that I have brought an "entire new worldview to the fore." What I have been working on is keeping alive a dying worldview. I like trying to save endangered species, whether blue whales or rationalist Judaism! Bear in mind that these figures do not include those who read this website via email subscription, which means that you have to add about another two thousand people. Four of the top ten posts are from December, and the number one, about Rav Elyashiv and Rabbi Metzger, has been read by over eighteen thousand people! I've sold about that number of some of my books, but only over a period of many years. This was just in a few days! While my charedi critics claim that these posts turn people off Judaism, it seems to me what my opponents are really objecting to is that my posts turn people off charedi Judaism; indeed, some of them do not even seem to realize that there are other communities within Orthodox Judaism. However, while I acknowledge that it is unfortunate to have to criticize others, I consider it very important for me to write these posts because (a) there are serious flaws in charedi society with severe consequences, (b) virtually nobody in the charedi world dares talk about them, and (c) most critiques that can be found are not written from a religious perspective or from people who truly understand the charedi world. And these posts certainly do have positive effects. For many people, it helps them find a more acceptable and traditional path in Orthodox Jewish society. For others, it is simply very reassuring to see that there are religious Jews who are not crazy. And with readers in the chareidi world - of whom there are many - it plants seeds of change. My writing schedule has declined due to my increased responsibilities running The Biblical Museum of Natural History, but I hope to continue posting at least once or twice a week. I am also in the process of compiling many of my monographs and related material into a book, Rationalism vs. Mysticism: Schisms in Traditional Jewish Thought. Another idea that I am toying with is collecting the best posts from this blog into a book (if anyone would like to volunteer to collate them all into a Word document, please let me know!). I would like to take this opportunity to thank all of my readers for following this forum and especially to those who contribute useful insights (in particular David Ohsie!). 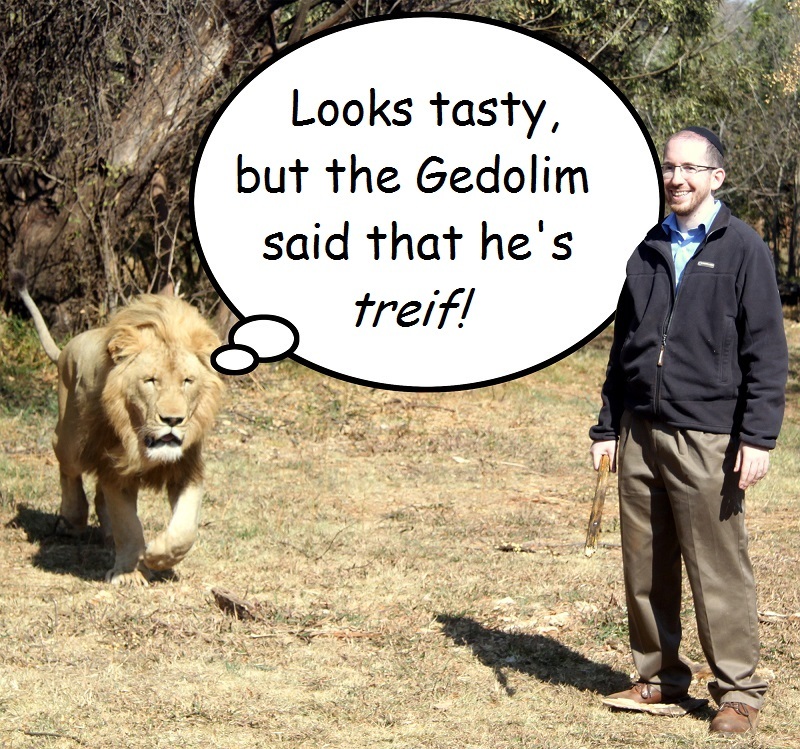 If you would like to show your appreciation for the Rationalist Judaism website, it would be great to make a contribution to The Torah and Nature Foundation, the non-profit that supports The Biblical Museum of Natural History and some of my publications. You can donate online and find details about other donation opportunities at this link. I would also be interested to hear feedback about this blog in general, whether positive or negative. Thank you! It is worth bearing in mind that some readers (myself included) read your blog from multiple devices. If this is common then the view statistics are likely to be significantly overstating the readership. Thanks for the blog; i find it extremely interesting, although looking at the statistics you show i would guess that my interest is inversely proprtional to the overal appeal of your posts. I far prefer the posts discussing rational judaism to the charedi bashing posts. Does the system automatically discount multiple views from the same person? I should hope so, because if the average person looks at the post five times to check for new comments, it's not the impressive at all. Actually you rarely post on rationalist Judaism any more, and when you do it's usually a repeat. This blog is just chareidi bashing, and like many other bloggers, you dress it up in something intellectual sounding. Then why do you bother reading it? Can you draw the dividing line between "bashing" and "necessary criticism"? Childish response from you but I don’t often read it. Just pop over once every few weeks. Bad idea to try to publish your online posts in book form. Ask R Gil Student about that. Congratulations on maintaining a very provocative and excellently written website. Just note that Google Analytics provides Pageviews and also Users. The latter is closer to the number of readers online. Be that as it may, the impact is significant. Keep up the good work. what seems very clear from most of your posts is that you really really really hate all charedim with an intense passion, even the ones who have done you no harm at all, and that you are incredibly arrogant. In addition you don't know how to disagree with anyone respectfully. I think that basically sums up most of your posts on your blog. Aaron, thanks for teaching us how to be respectful to people that you disagree with! "And these posts certainly do have positive effects. For many people, it helps them find a more acceptable and traditional path in Orthodox Jewish society. For others, it is simply very reassuring to see that there are religious Jews who are not crazy. And with readers in the chareidi world - of whom there are many - it plants seeds of change." I encourage you to reach out to Project Makom (https://www.facebook.com/groups/802254193167943/), an organization that reaches out to haredim who are dissatisfied with the haredi lifestyle but are interested in exploring other dati possibilities. Footsteps (https://www.facebook.com/footstepsorg/?fref=ts) deals only with people who are dissatisfied with the haredi lifestyle. Footsteps councils them but doesn't direct them into other Orthodox possibilities. Thank you for your rational posts! Page views don't reflect unique readers, but those are still impressive numbers. I don't know if a book made up of compiled posts would sell, but there is value in presenting your ideas in a book. For cultural reasons, books have far more authority than blogs. Perhaps material from various posts could be worked together into coherent chapters? I just read your latest post and you ended it by asking for feedback. I think I have been getting your emails since around 2010, I found it while googling books about creation and the bible/ how to reconcile torah with science. Once I found your books, I found your site. Anyways, getting your emails in my inbox is one of the enjoyable parts of my working day. Your perspective is right on. I truly feel if the rationalist/ Rambam way of thinking was accepted by all of judiasm, we could at least be on the right path to attain the status of an Or Legoyim. In my humble opinion it is with this perspective that makes the torah shine so bright. Thank you for starting this blog and putting the effort and time into it. I am sure it is not easy, but I really appreciate it and always look forward to what you will write about next. Please keep on writing and posting! No surprise that secular Tablet praises a blog that refers to great Torah scholars as "supposedly great". I would not be surprised to see a haskomah from Failed Messiah. Please write more animal related articles. Hate Failed Messiah all you like, but he's done more to help Jews than you ever will. Criticism is necessary for a system to achieve. If four of the top ten are from December, and six overall are from the last few months, I should think it pretty obvious that it there is nothing particularly significant about those posts themselves, but that it reflects merely the natural growth in readership. I think you also think you also have to take in to account the natural growth of the blog. 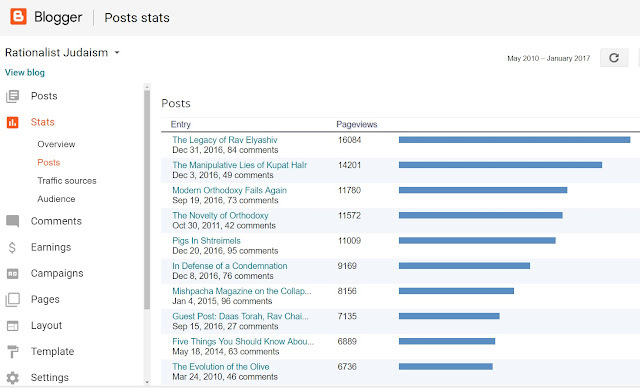 More recent posts are more popular because the blog has grown. Not necessarily because of the content of that particular blog. But it definitely has a great impact. Keep up the good work! Hi, you wrote, "Another idea that I am toying with is collecting the best posts from this blog into a book (if anyone would like to volunteer to collate them all into a Word document, please let me know!)." I have no criticism, only praise. Continue your good work. In the flap cover of one of your books, it says that you're preparing a future book, to be titled "Shaking the heavens: Rabbinic responses to astronomical revolutions". By the title, it sounds like it'll be about how Rabbis reacted to discoveries such as that the Earth is not the center of the Universe, that the Earth revolves around the Sun, that the Universe is huge with many other planets and suns out there, etc. The story of how Christianity reacted to all these discoveries is famous and fascinating (e.g. Galileo's trial by the Inquisition). But the story of how Jews reacted is not so well known. At least I don't know it. If your book will be about this topic, then I'm eagerly awaiting for it. I abandoned that project, because a key part of it was already superbly covered by Jeremy Brown in his book New Heavens. Have any of your books been translated to hebrew? You're blog comforts the persecuted. I can explain why these are the most viewed posts. Because the anti-rationalist haredi is positively TRIGGERED by criticism of their gadolistic idols or the party line emanating from them. So you have quite a few "hate readers" but also a lot of discussion on those posts. I was studying in Yeshiva in Israel during the era immediately preceding and following the ban on your books. I already knew you as "the zoo rabbi" at that time, and you knew some of the people I knew, though I don't believe we actually met. It might interest you to know that there was a little seforim spot in Meah Shearim that I would occasionally frequent that had a small English section on a book cart outside. Front and center in that section were your books, and they remained there throughout the furor, giving me ample time to stand in place and read them once I found out the owner didn't mind. I even witnessed a couple of yeshiva guys asking the owner why he was carrying "apikorsus," and he just shrugged and said, "So don't buy them" by way of a response. I'd like to believe that maybe a few others stopped and read them over time, and maybe a few others also grew into people who would like to belong to a Judaism that believes in using the intellect we are gifted with to assess the world around us with information available. "Another idea that I am toying with is collecting the best posts from this blog into a book (if anyone would like to volunteer to collate them all into a Word document, please let me know!)." From there, it gets a bit fuzzy (to me anyway) on how to import it to Word or OpenOffice but from a quick Google search it seems it should be possible. If it's not, I could probably write s script to parse the posts from the XML file and create an HTML file that Word will easily import. I did that, but I couldn't get the XML file to convert into a usable format. The various solutions proposed on the internet did not work, perhaps because the XML file was too big. If you are able to help, please email me. Thanks! "The Biggest Enemy of the Jewish Nation"